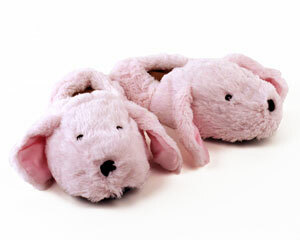 We carry seven styles of microwaveable slippers for you to pamper your feet with. The Cat, Bunny, Lamb, Leopard, and Polar Bear designs all feature a removable, microwaveable insole that emits the soothing scent of lavender. Just heat any of these incredibly soft and fuzzy microwaveable slippers for thirty seconds and treat your feet to comforting heat and your nose to relaxing scents.